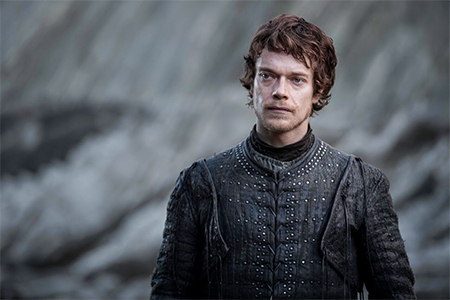 Alfie Allen's first professional appearance was in a one-off Channel 4 comedy, You Are Here in 1998, co-written by Matt Lucas and David Walliams. The same year, Allen and his sister Lily appeared in the 1998 film, Elizabeth, which was produced by their mother. His early work included small roles in Agent Cody Banks 2: Destination London, directed by his uncle Kevin Allen, the film Atonement and in BBC1's historical hospital drama, Casualty 1907, as Nobby Clark. Starting in Chichester on 31 January 2008, he took over Daniel Radcliffe's role in a revival of Equus on a nationwide tour. Allen came to international attention when he was cast as Theon Greyjoy in the HBO medieval fantasy series Game of Thrones in 2011. He has continued to work in films, appearing in Soulboy, The Kid, Freestyle, and Powder in 2010. In 2012, he starred in the British thriller Confine.